You probably started playing golf for fun, to be social, to hang out with a golfer you care about, and then it happened: you got hooked. You hit enough good shots that the game got in your blood, and you started to care about your score. Now you want to break 100. That’s the bad news. But there’s good news: you’re in the right place. With just a few hundred words I’m going to set you on a proven path to breaking 100. You’ve already made plenty of pars and bogeys, so you know you can do this. All you need is a plan. Whether you’re trying to break 100, 90, 80, or even 70, these are the two most important rules. Just like the Ten Commandments, they’re easy to understand but hard to live by. However, if you can follow these two simple rules, shooting over 100 is nearly impossible. In baseball, you can make over $10 million a year for throwing the ball. You can stink at hitting. If you play in the American League, you don’t even have to try. In football, you block, tackle, catch, or throw, but no one expects you to do more than one of those things. In basketball, you can have a brilliant career doing little more than camping outside the 3 point line and making jump shots. In golf, however, you need to master a lot of different skills to be good: driving, putting, iron play, chipping, pitching, etc. But here’s the secret that no one has told you: you don’t need to master all those skills to break 100. The first step to breaking 100 is paring down that laundry list of skills to the ones that are essential to your current goal. 1) Putting. Putting is unavoidable. You need to be a competent putter. Thankfully, this is the easiest skill in golf, from a physical standpoint. 2) Mid-short iron swing. You need to move the ball around the course, and the 7-iron is going to be your best tool for that job. You’ll need to learn to be reasonably accurate and consistent with your irons from 7 through PW. 3) Simple pitch and chip. You are going to miss greens, so you will need a way to get the ball on the green from inside 100 yards. Notice that you do NOT need long irons, hybrids, fairway woods, flop shots, or, most of all, a driver. 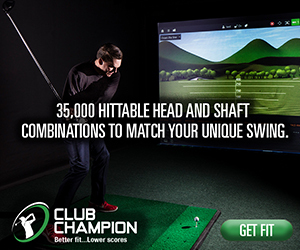 For high handicap players, the driver adds more strokes than it saves by a huge margin. Yes, hitting driver is fun (sometimes), but you’ll notice that this is not a plan for having fun on the golf course, it’s a plan for breaking 100…which is fun all the time. Here’s a simple plan to develop the skills you need to break 100. 1) Around the World Drill: Using 1 ball, I repeat, 1 ball, work your way around the cup making 3′ or 4′ putts. 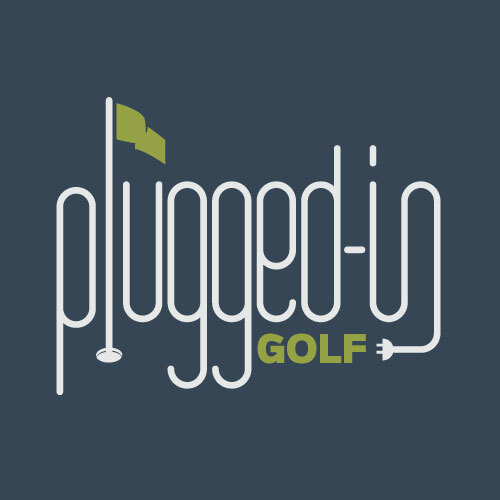 Challenge yourself to focus on each putt and make 5, 10, 20, or more in a row. The purpose of using only one ball is that it forces you to focus. If you have another ball set up, it’s easy to just swipe at each one and move on to the next. It also makes practice more game-like. 2) 18 Holes of Putting: Take 1 ball and drop it 20-50 feet from a cup. Putt until you make it. Repeat 17 times from different locations and distances. The goal is to have 36 or fewer putts. Having never seen you or your swing, I can’t tell you how to improve your swing. What I can do is give you some guidelines for effective practice. 1) Use alignment aids. This is something that virtually every PGA Tour professional does, but few very amateurs do. When you’re at the range, lay down some clubs or alignment sticks to help you create good, consistent alignment. You can read more about this HERE. 2) Mix block and random practice. This means that sometimes it’s good to hit twenty 8-irons in a row, but that shouldn’t be all you do. Some of your practice time should be devoted to hitting shots like you do on the course: hit an 8-iron, then a PW, then a 7-iron, each with a full pre-shot routine. 3) Know your distances, ball flights, and tendencies. Every good player can tell you how far each club goes, the type of flight they expect on a stock shot, and what their tendencies are with each club. For example, I hit a pitching wedge 135 yards in the air, the ball flight is medium high with right-to-left movement, and my bad tendency is to pull it too far left. This may be slightly more difficult for the beginning golfer because of a lack of consistency, but if you pay attention patterns will emerge. Knowing these patterns is essential for good decision making on the course. Statistics tell us that a golfer who shoots 99 does not hit any greens in regulation, which means you will need to chip and pitch frequently. The key is developing a shot that you can rely on to get you onto the green in one swing. Again, I don’t know you or your swing, so I will not suggest what technique you should use, but I will give you some ideas and a practice procedure to test and develop your skills. 1) Develop one simple motion that you can use to chip and pitch the ball. Learn to vary the distance that the ball goes by varying the length of the swing and, later, by using different clubs. By doing this, you will simplify your short game and be able to cover a wide range of distances. 2) Be able to verbalize your chipping/pitching motion. What I mean is, be able to describe what the swing feels like so that you can use it effectively under pressure. That feeling could be “Firm wrists, turn chest back and through.” Whatever it is, keep it simple so you can rely on it during your round. 3) Once you have developed a repeatable chip/pitch shot, make your practice game-like. Do not hit multiple shots to the same target at the same distance. Hit a shot from the fringe, then hit a 10 yard shot, then a 50 yard shot, then a 20 yard shot, etc. Your goal for each shot should simply be to get the ball on the green. When you can regularly hit the green in one stroke from varying distances, your short game is ready to break 100. The first decision you’re going to make that will help you break 100 is choosing an appropriate set of tees. There is no reason on Earth why someone shooting over 100 should play more than 6500 yards, and even that’s pushing it. Playing shorter tees will take the pressure off your game and allow you to hit more good shots. There’s plenty of time to play the longer tees when you’re consistently shooting in the 90’s or 80’s. Once you’re on the course, the things that you need to focus on are keeping the ball in play, avoiding unnecessary risk, and hitting the ball to the center of the green. By leaving everything longer than a 7-iron at home, you’ve already taken a major step towards keeping the ball in play. The other key is not over-swinging. Don’t stand on the tee and try to hit your 7-iron 250 yards. If you’re 7-iron goes 140 yards, don’t try to hit the green when you’re 160 yards out. Swing within yourself and keep the ball in play. Even with nothing longer than a 7-iron, it’s likely that you will find trouble at some point. That’s OK, remember that there’s a lot of room for error in this plan. The key is not compounding your mistakes. If you hit it into the trees, punch out. If there is a forced carry that you could only make if you hit your 7-iron absolutely perfectly, lay up. You can make bogeys and doubles and break 100. When you start making triples and quads, breaking 100 becomes much more difficult. Until you’re putting, pretend that the flag doesn’t even exist. Hit the ball to the center of the green. If you hit just a couple of greens in regulation, you will nearly guarantee a score in the 90’s. Missing the green, even by a small margin, is strongly correlated with higher scores. Give yourself the widest margin for error when attacking the green by aiming for the center. If you’ve mastered the three skills discussed here and you bring these three pieces of course management wisdom to the course, you will be shooting in the 90’s in no time. Then you can start working on breaking 90! I just wanted to thank you. Last week I was hitting 124 (yikes! ), and after beginning to apply what you’ve outlined, I dropped 12 strokes off my game to 112(marginally less yikes!). I’m going to keep working on lengthening the distance on my 7 iron, but I’m keeping it in the fairway and making smarter choices. This is great advice all around! That’s great to hear! I’m glad the advice helped, and keep up the improvement. Down to 110 as of yesterday! I had two holes where I imploded a and scored really high, but otherwise I’m getting really close to double digits! I posted this three years ago, then went to Law School and got to play exactly 2 rounds of golf in three years. I just finished law school last week and went golfing twice. First round, 134. Second round….98!!!!!!!! I brought my 7i, my pitching wedge, my sand wedge, and my putter and that was it. I played from the forward tees, and had a great time. I had a couple of lucky breaks with some pars, which I really needed when I collapsed on a couple of holes near the end. All in all, great advice. Thanks for all the help! That’s awesome! And welcome back to the game! Hi Matt, I’m in Miami, Florida and somehow came across your instruction; I cannot recall right now but I think it did a random search on golf tips on twitter and your feed displayed (I think). Anyh0w, I went to your link on how to break 100. I have been playing for a year and a half and after taking lessons off and on from a pro (?) I’ve only broken 100 twice; I’ve been stuck in golf purgatory of 100-108; however, after reading your tips, and practicing according to your recommendations; have taken a different approach to may game and have shot 99. 98, and 95 consecutively. I’ve only used the driver once for each round because I couldn’t resist the temptation; but now I will take it out of my bag for awhile. I went from 5 to 6 penalty strokes per round to one each of my last three and that was due to losing sight of my ball; one was an actual penalty. Yes, I will admit your instruction is unconventional; however, the strategy has paid off for me. My crew how have been playing for years have noticed the quick adjustments and are asking what the hell have you been doing? Yes, I realize I have a long way to go; however, your guides will assist me in eventually breaking, 90, and 80…Yes, I’ve read them already…however, I will not get ahead of myself……Thank you; I had to share this. Thank you very much. Comments like yours are very gratifying, especially when they come with great scores like that! Please let me know if you ever have any specific questions I can help address. Please excuse the grammar and typo errors in the last message; I was rushing and did not proof it as I usually do. Matt, thanks for this great advice! Just joined my local club this year, and have a handicap/GHIN for the first time. I was hitting 117-108, but now I’ve brought my average down to 106, and hit 99 in my first tournament last week! Still can’t bring myself to take the driver out of the bag, but I love the practice tips and tests, and the philosophy to posting better scores. 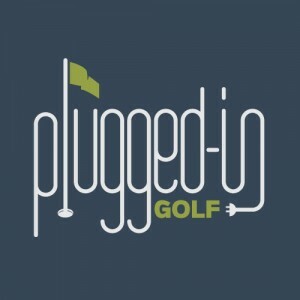 Keep it up, it is helping us newer golfers – thanks! I’ve been focusing on breaking 90 but due to a firm slump I thought I’d go and try the previous step that I had never tried. It was only 9 holes and due to using a half set I was armed with 7,9,SW and putter. I had 2 x 3 putts and parred 2 x par 4’s to finish with a 43! Needless to say I was surprised as it wasn’t stellar golf but sticking to the plan. Helped work out I need improved putting not a longer iron too. A fantastic article. Breaking it down to 9 bogeys and 9 double bogeys puts you in such a different frame of mind. I’ve kept coming back to this article over and over. I always carry my big clubs but was never brave enough not to use them. But the other day I was determined not use anything over a 5I. The sun was out and summer had arrived for the first time this year, so I thought I’d give it a go. I’m not a big hitter, probably only hit my 5, 150 yds if I catch it right, so I doubted I could get below 100. I didn’t count my score until the end of the round. Thought that might take the pressure off. Thanks for sharing these thoughts. Looking to break 90 by the end of this season! Thank you, and congratulations on the 95! About a month ago I played a match play round with one of my best friends and his dad. My friend is quite good (he’s broken 80), whereas I just started playing golf last fall. We played at the Highlands in Elgin, IL, which is a challenging course. His dad and I got a one stroke per hole handicap, but still, looking at the course, I thought the round was going to cost me a lot. My friend is a big driver & wedge guy. I figured my best shot at winning some holes was to go with the conservative, course-management strategy you outlined here, keep the ball in play, and hope he had an off day with his driver. Sure enough, that’s exactly what happened. He was using a new driver for the first time, and he was hitting it OB quite frequently. I just kept on teeing off with my trusty 6 iron (I lost my 7 iron), and took care to choose clubs that took bunkers and OB shots out of the equation. It worked like a charm. Not only did I take 15 of 18 holes in match play, but I shot an overall 98 to his 99. It was the first time I broke 100! Granted, I was having an exceptionally “on” day while he had an “off” day, but still, it was an awesome round. I was very satisfied with the results of your strategy — thank you!! For the golfer trying to break 100 with Matt’s strategy, here’s an analogy: Shaving. Say you’re shaving, and you haven’t shaved in 2-4 days. You’ve got some stubble built up. If you try to rush and get it all in one stroke, putting a lot of pressure on the razor, it’s going to hurt. It will yank. You’ll get cuts, and you won’t get it all in one pass anyways. The razor simply can’t remove that much ‘stache in one pass, and trying to force it will just be a frustrating, painful experience. It’s much better to ease up on the pressure, take 2 or 3 strokes, and let the blade do the work. Take your time. By not trying to force it, you’ll get a nice, clean, relaxing shave. When you’re trying to break 100 for the first time, the course is like that week old beard. If you’re on a 400 yard par 4, don’t try to bomb your driver and get it all in one stroke. 2 or 3 strokes is fine. Take your time. By not trying to force it, you’ll get a nice, clean, relaxing round — and you might just break 100. That’s great to hear, congrats on the win and on breaking 100! Highlands of Elgin is one of my favorite courses too, and a great value. I usually only play 9 holes but I went from 60-50 in a matter of a day. Yes I did use my driver but it got me no penalties and I am rather confident with my driving. It is a good plan, but wouldn’t it be difficult if you came across a massive par 5 (as I have before) that is around 650 metres long. Would you still suggest the 7 iron or use a longer club. No one shooting over 100 should be playing a 710 yard Par 5. If you’re shooting over 100, you should be playing one of the forward tees. Great! Thanks for letting me know, and good luck with breaking 90. I’m trying to break 150. I’m a good athlete can hit the drive long. But my scores range from 180 to 160. Help! After 10 years off I have just recently started to play and i have been member at my local course Alhaurin Golf in Andalusia Spain for 6 months now and consistently been shooting 103-115 per round..It’s concidered a tough course and many local golfers avoid it as it’s too difficult and they loose too many balls..
That’s great! Good luck in your competition! Matt, I typically hit a 7 iron about 125. Should I use my 5 iron instead of the 7 to break 100 since I hit the 5 iro 150 or should I stay with the 7 iron? My gut reaction is to just move up to a shorter set of tees rather than hitting 5I. That said, I could see 5I being a fine play if the accuracy is good enough. Matt, I’ve been playing off and on for about 4 years now, honestly I think I’ve played more this year than the 3 previous years combined. Anyways, I generally shoot about a 115-120, my best round (before today) was a 57 (our local course is a typical 9 hole par 36) I played 2 rounds today and I left my driver and fairway woods at home. I did bring my 4 hybrid as a safety net (but only used it maybe 3 times all day) The first couple of holes, I was cussing you, but once I settled in and got into a conservative mindset, I started playing much better with my irons. I shot a 56 (new personal best!) the first round and I told myself that on the next round I wasn’t even going to pay attention to my score and just focus on making good, solid contact. After I got back to the clubhouse, I checked my score and was quite surprised to find that I shot a 49! I understand that I will have to keep working to do that consistantly, but I can’t wait to get back out there with only my 7I – SW and putter. That second round was by far the best time I’ve ever had playing golf. The driver and woods may be on the shelf for a while now! Thank you! Great to hear! Congrats on the personal bests! It’s amazing when you break down what it really takes to break 100 it’s really not that big a deal. I think this change in mindset could really help golfers achieve that goal of breaking 100 much easier. I need to be better at golf for business. I don’t need to be great – just not embarrassing. My game is improving, but quickly enough, which is why I looked up this site. It seems like a sound system. I look forward to trying it, starting today. I’m talking about 100 strokes, period. Thank you from France! i’ve done it today! Your intructions help me a lot; espacialy tactical. I don’t feel having playing good but playing efficient. So i go for 90!